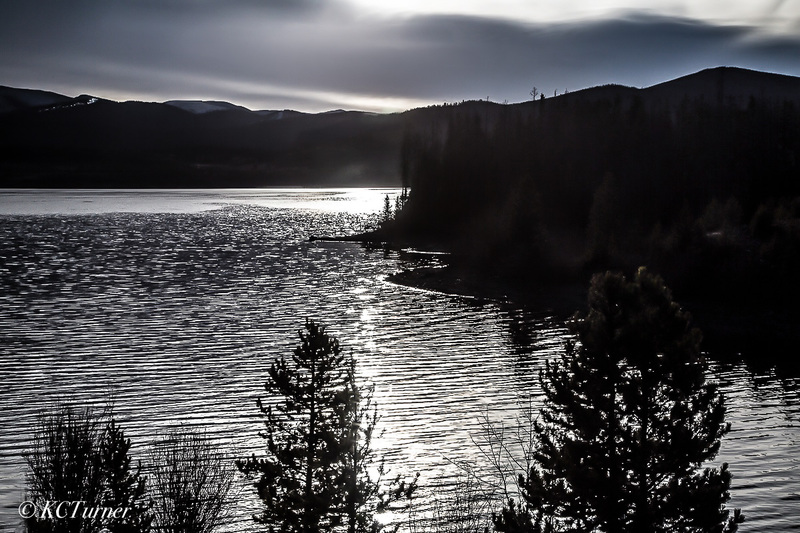 Sundown at Dillon Lake captured in deep monochromatic silvers and blacks brings out a calm, quite sense of day's end on this cold winter day in Colorado. Photo © copyright by K.C. Turner.